Angela 28 Says: If they take away my Support it’ll be the End of my Life! I’m 28 years old – but if they take away my social care it’ll be the end of my life. I’m disabled but I want to enjoy life the way any other young woman can. I have two volunteer jobs. Now they’re threatening to take this support away – leaving me isolated at home, forcing me to go to bed at 9.30 every night, not even able to go to the toilet. I did a degree in psychology and criminal behaviour. It was interesting but nothing like CSI! During one of the seminars, I met a representative from Headway, the spinal brain injury charity and I’ve been volunteering there for the last two and a half years. I won Luton’s Volunteer of the Year Award last year. I’m constantly looking for paid work. I don’t sit around watching TV, I never have, I don’t believe in that. I would love to get a paid job. I have tried. I’ve been for interviews for customer services and as a support worker. Even though we are supposed to have equal opportunities, people still look at my wheelchair. I was hit by a car when I was two. I have a spinal brain injury which has affected my left side. I can’t walk because I have no balance, so I use an electric chair. When I turned 18, Social Services helped me find a place to live and be independent. Social care gave me total freedom to get up, go to bed, go to the toilet and settle into my new home and life. With decent social care I’ve been able to do whatever I want. I can go out and enjoy life the way any other young woman can. I have two volunteer jobs, and I can go shopping and see my friends. Suddenly, out of the blue recently they’ve tried to cut my care from 20 hours a day down to three. I was shocked, upset and angry. I tried to negotiate with the woman at the Council and was told “life’s not perfect for anyone”. I don’t expect it to be perfect – I want to have a life like any young woman. I’d have no freedom. I’d have to be in bed at 9.30pm and get up at 7.30am, with no way to go to the toilet in the night either. My carer wouldn’t have time to cook me fresh food (microwaved horsemeat lasagne here I come!). Imagine living this life for the next 50 years. If I was stuck with that forever, I would give up and lose my passion for living. I would find a way to end my life. What I’m asking for isn’t unreasonable. I just want flexibility and freedom and a little support. I’m not asking for the world. But I do want dignity and I do want freedom. If I wasn’t in this wheelchair I would have those things, so why shouldn’t I.
What’s worse is it isn’t just me. It isn’t just about reducing how much support people get. They’re taking away all support for some disabled people. Every disabled person who needs support should get it – this is about the basic dignity and freedom to live our lives. The government has what they call a spending review coming up – it’s when George Osborne decides: How will he spend our money? What do we care about as a country? Will you sign the petition I’ve started and send George Osborne a message loud and clear that we want adequate support for disabled people to live independently? They spent more than a billion pounds just on the Olympics village where the athletes stayed last year, surely they can put at least that much into social support for us? We only have a few weeks! Please sign the petition and write to us at mail@dpac.uk.net with your stories. We are also looking for stories from people who were stopped from applying for Independent Living Fund support in 2010 when the Coalition closed it to new applicants. This is not just about ‘care’ it is about independent living, the right to independent living and support for all. 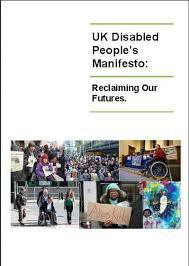 It is about the UK breaking its own signed commitment to the UNCRPD. It is about the impact on real lives like Angela’s. It is fundamentally wrong! 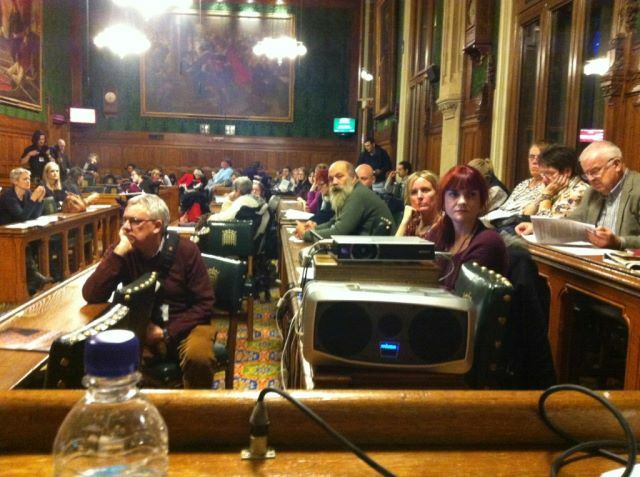 DPAC is continually gathering evidence of the impacts of the cuts, their effects on independent living and quality of life for disabled people and those with long term health issues. Unlike some other organisations we are keen to bring this Government to task through every route we can, including the legal system.